Being a pastor of a local church comes with many responsibilities. Some of these responsibilities include being a good steward of God’s people, discipleship, and rightly teaching God’s Word. This is no easy task. Being overloaded with may tasks, as pastors tend to be, Dr. Ted Traylor, senior pastor of Olive Baptist Church in Pensacola, set aside time to meet with one of Olive’s deacons. As the time began to draw on, Traylor received a message from this deacon stating that he would be late. What could be more important than an already planned meeting with his senior pastor? Later, when the deacon arrived to the scheduled meeting, he introduced Traylor to a man that he had just lead to Jesus. “Can you believe a deacon stands up his pastor to do evangelism! May his tribe increase,” said Traylor. Being inspired by the passion this deacon had for evangelism, Traylor was reminded that this deacon was not hindered by the day to day plans that consume many of our schedules. Instead, he displayed eternal focus as he sought out and prioritized every opportunity to share the hope found in Jesus to a lost and dying world. 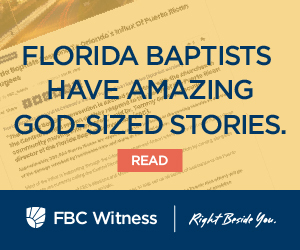 This instance occurred shortly after Traylor spoke at the Evangelism Conference held at The Baptist College of Florida on March 19th. 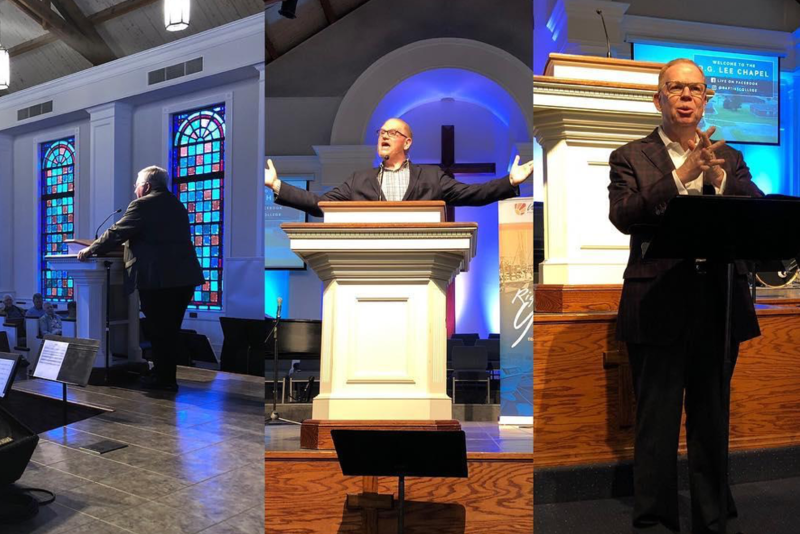 Dr. Traylor spoke to the 200 attendees on the topic of “7 Principles For Advancing the Gospel in our Culture” from Acts 28:30-31.